Seek the magic within to protect Elvendale in LEGO Elves the elvenstar tree bat attack! 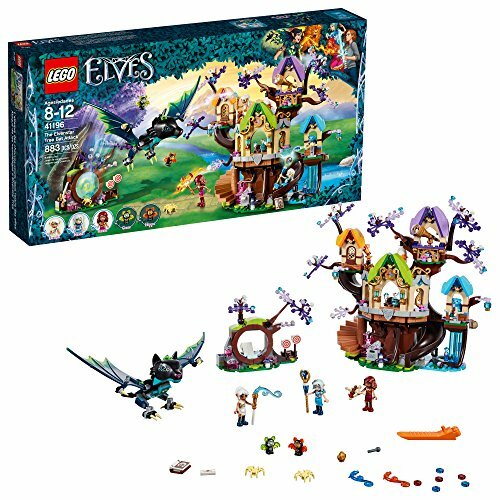 this exciting LEGO Elves set features a tree with 3 levels, a hidden staircase, slide, waterfall tower, transformation function, forge with lever to work the VOLCANO hammer, plus a bat shooter, moving branch and a separate portal with targets that can be knocked down. The set also includes a buildable, fully posable bat figure with moving wings and opening jaw, plus 3 mini-doll figures, bear figure, 2 bat figures and 2 spider figures.